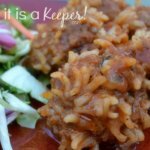 These Slow Cooker Italian Meatballs in Spicy Tomato Sauce are one of the best crock pot recipes! Hi! 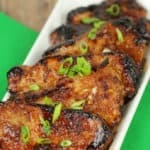 This is Clare from Happy-Eater.com, and I’ll be swinging by here about once a month to share some fantastic recipes with you! 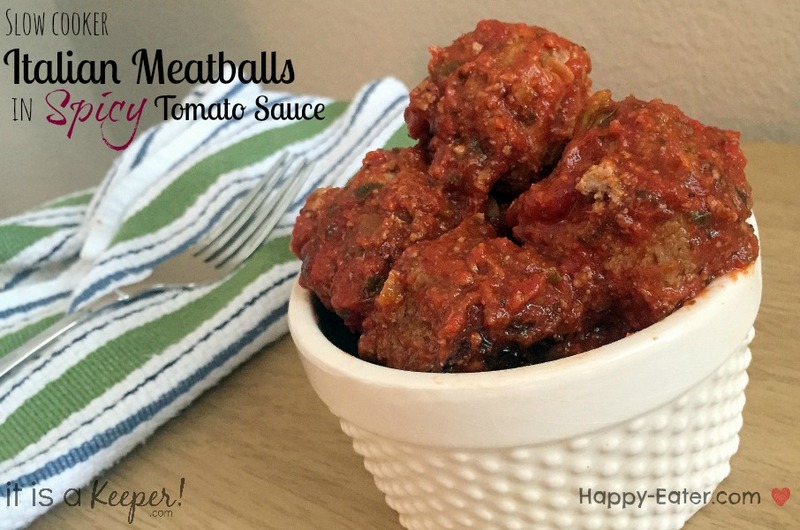 Today’s post is my husband’s favorite: Slow Cooker Italian Meatballs in Spicy Tomato Sauce. Throughout my cooking trials with meatballs, I’ve discovered that crowd favorites always involve a combination of ground beef and Italian sausage. 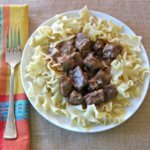 And even though this is technically a slow cooker recipe, you could adapt it for the oven (400 for about 20 minutes). However, to get the most out of the combination of meat, vegetables, herbs, and spices, the slow cooker is the way to go! This recipe is both grain and dairy free, and it is packed with veggies and herbs! 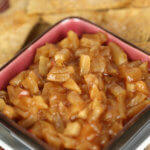 For more dairy and grain free recipes, you can visit my Recipes page! 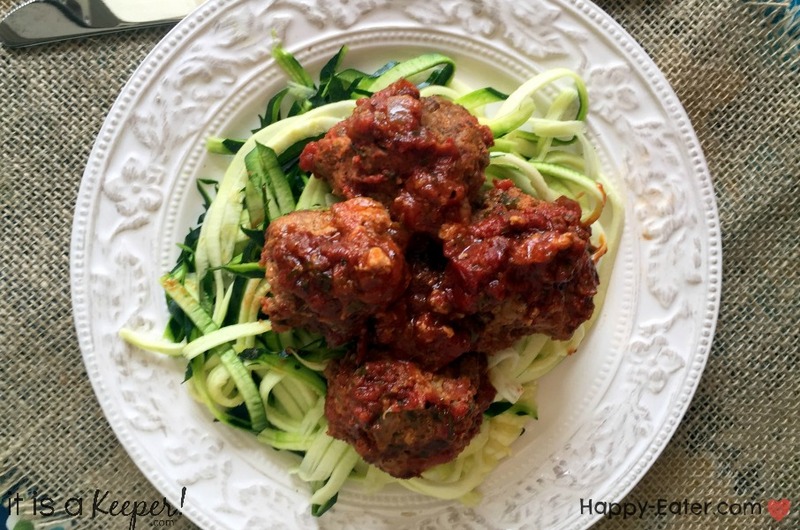 You can serve the meatballs over pasta, or if you want to keep the whole recipe grain-free, serve over zucchini noodles or spaghetti squash! If you’d like to see more recipes like this one, check out my Breakfast Meatball Scramble and Bacon Wrapped Jalapeno Chicken Bites! 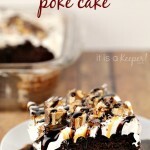 If like you this recipe, make sure you sign up for It Is a Keeper’s email newsletter! 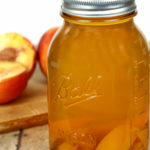 You’ll receive a FREE Kitchen Cheat Sheet Printable as a thank you! In a separate small bowl, combine all the remaining ingredients EXCEPT for the eggs. Mix thoroughly. Add contents of the small bowl into the large mixing bowl. Mix well. Add eggs and continue to mix, and don't be afraid to use your hands. 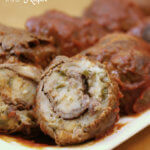 Roll mixture into meatballs, about two tablespoons each, and place at the bottom of your slow cooker. In a medium sized mixing bowl, combine all tomato sauce ingredients together and mix well. 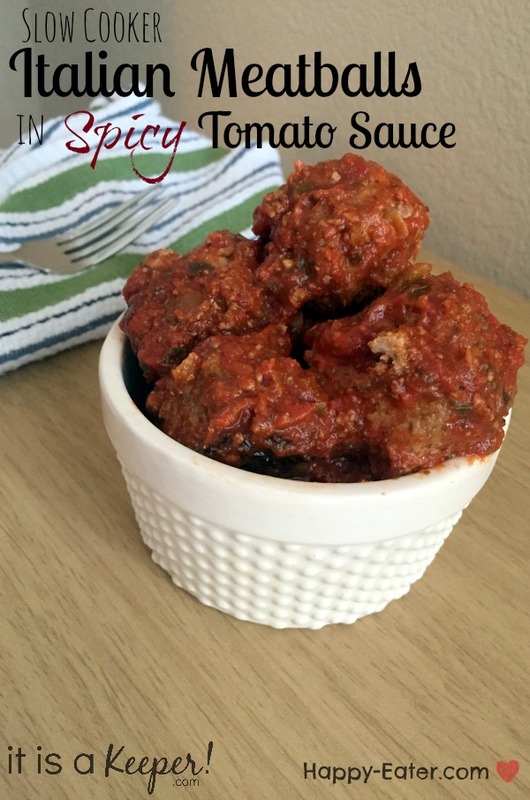 Pour tomato sauce on top of meatballs in the slow cooker. Cook on high for 4 hours or on low for 8 hours. 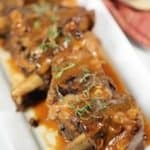 (My slow cooker cooks a little too quickly, so if yours is like mine, then I'd cut the time down to 3.5 hours on high and 6-7 hours on low. Serve over pasta, zucchini noodles, spaghetti squash, or a salad! First off this is a great meatball. Made these for a party this New Years and they were a hit. They tasted great! I will defiantly make them again. My only criticism is the instructions and the ingredient list. In my opinion I would have put the total ingredient list together in one list to make shopping for everything easier. Next is the instructions. I made this twice, first time I completely screwed it up while reading the instructions the first time. Instruction 2 says mix all ingredients, which I did, all the other ingredients for meatballs and sauce except eggs. Not realizing 4 more instructions down is the sauce recipe instructions. Shame on me for not reading all instructions first then making the meatballs. It would be clearer if there were two sets of instructions split into Meatballs and then sauce to clearly define the ingredient mixture process. Like below. 2. In a separate small bowl, combine all the remaining Meatball ingredients EXCEPT for the eggs. Mix thoroughly. 3. Add contents of the small bowl into the large mixing bowl. Mix well. 4. Add eggs and continue to mix, and don’t be afraid to use your hands. 5. Roll mixture into meatballs, about two tablespoons each, and place at the bottom of your slow cooker. 1. In a medium sized mixing bowl, combine all tomato sauce ingredients together and mix well. 2. 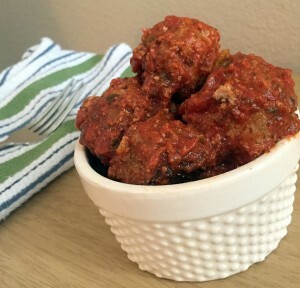 Pour tomato sauce on top of meatballs in the slow cooker. 3. Cook on high for 4 hours or on low for 8 hours. (My slow cooker cooks a little too quickly, so if yours is like mine, then I’d cut the time down to 3.5 hours on high and 6-7 hours on low. 4. Serve over pasta, zucchini noodles, spaghetti squash, or a salad!